Thumbs Down® The POWER MOVE of Golf was designed by ME, a fellow amateur, as I desperately searched for a way to square the club at impact, without an overhaul to my simple and effective golf swing that served me well for 25 years. During the 1994 off-season I viewed a tip that promoted the wrists as a source of power, then suddenly realized how little I used my wrists and hands when striking the ball. This was because the popular lesson when I learned was to let the left side do the work and the right side goes along for the ride AND the hands are used only to grip the club. Because I played baseball and used my wrist and hand action to hit the ball, using the hands and wrists made a lot of sense to me. Beginning with my first swings of the new golf season I experimented by adding wrist action to my swing. To my delight I immediately noticed an increase in distance and a cleaner hit with every club, especially my irons, but with inconsistent results. In July of 1995, I took a work break one afternoon and headed for the golf course for some practice with my pitching wedge, the club that suffered the most during my ball striking decline. While chipping around the practice green into a bunker about 20 yards away the first two balls I hit jumped off my wedge and flew over the top of the bunker. I stood there stunned. Both shots felt like I hit them as clean and solid as was possible, a feeling very foreign to me lately. Over the previous few seasons my iron play had hit rock bottom, so hitting them this solidly and powerful was a pleasant surprise to say the least. With such a short swing I clearly noticed that my hands turned into and through the shot, just like the pictures I often saw of the pros on TV slow motion. I named my new power move Thumbs Down, because that was the motion I saw my hands making as I was striking the ball. Thumbs Down squared the club and put it in the ideal hitting position. This "magic move" I discovered provided the power, accuracy and control I experienced occasionally, but never knew why. For the first time in my golfing life I knew what it meant to let the club do the work. Prior to this I focused on turning my upper and lower body into the shot with all my effort. I honestly felt like I did a good imitation of a corkscrew turning into the ground. 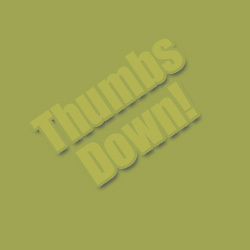 Thumbs Down not only worked and gave me confidence, but the best part was how easily it could be repeated on demand. Finally, I had a simple answer to the question "what do I do now" just before striking the ball. Just as important, Thumbs Down changed my priority from trying to kill the ball, to making a strong controlled swing with solid ball contact. In addition to a better performance and more "golf orgasms" on the course, it also provided me with an effective way to warm up and practice. IT WAS LIKE DISCOVERING "GOLF'S HOLY GRAIL"
My results were dramatic! Thumbs Down, The POWER MOVE of Golf immediately turned my slice into a draw, plus it added distance to every club in my bag (putter excluded!). My game now includes a level of accuracy and control I never knew before, especially the iron shots to the green. 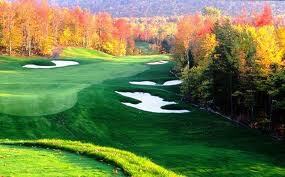 For me, golf is more enjoyable now that I’m hitting more solid shots to more greens in regulation each round. This also gives me more opportunities for 3-putt bogeys, but I’ll gladly accept that challenge. Next, it was time to try it out on others to see if it worked for them. To my delight it did. See testimonials. From your first solid shot with Thumbs Down, The POWER MOVE of Golf you'll realize like I did, that all it takes is a commitment of 1 split second of your swing. Finally, there's a quick and affordable way to improve your ball striking without having to make radical changes to your existing swing. If you're frustrated with your inability to control your shots, if you have a passion for the game but are tired of not improving enough to really enjoy it, or if hitting longer shots with every club in your bag is something you only dream about then Thumbs Down, The POWER MOVE of Golf was designed for golfers just like you. The more I play with everyday amateur golfers the more I see that most of them need the same subtle adjustment I needed, to hit the ball longer with more accuracy and control. My advice is simply this: Don't change your swing. Learn Thumbs Down, The POWER MOVE of Golf. For more product information click here, or on the Product & Buying Info button above. Copyright 2013, AJM Marketing Enterprises, LLC.